It’s with great pleasure that we debut you the first ever interview here on i:Vibes with Slovakian talent ReOrder, other wise known as Tibor Tomecko. While there are not that many big trance names to come from Slovakia, Tibor can be sought to as an inspiration that if you push your music and believe in what you produce you can make it in a scene with so many new talents coming through. 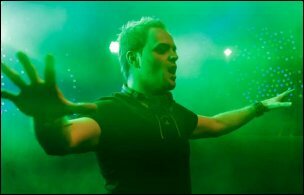 He had his first proper release back in 2011 on the Monster Tunes label and his uplifting, driving sound of trance is one which many top DJ like Armin van Buuren, Paul van Dyk and John Askew have all embraced in their sets over the past few years. You must know who to put together a decent tune if you get the likes of Armin van Buuren humming along to live on his radio show. We thought it was time to find out more about Tibor and what he has instore for ReOrder for 2014 and beyond. iVibes: Thanks Tibor for talking to ivibes.nu. Where are you at the moment and what current track in the trance scene has been giving you goose bumps as of lately? ReOrder: Hey guys, big thanks for having me here. At the moment I'm working hard on the new tunes and I'm also preparing for the upcoming shows in UK, Netherlands, Prague and Poland. With no hesitation it is Darren Porter and his Terraforming. He just makes one track a year to make my hair stand up each and every time. iVibes: You are from Slovakia. What was your defining moment where you knew that you wanted to engage your life with trance music? ReOrder: That moment came in my early teenage years around 1997-1998. Back then EDM was on the top in Germany. I was watching (German) VIVA TV where they regularly played tunes from likes of Blank & Jones, ATB, Sunbeam, Talla 2XLC, Westbam and many others. I remember that feeling like it was today. That music was like out of space, it was haunting me, I felt so free while listening to trance. I knew back than that I don't know how but I want to know how to understand and create such music. iVibes: You have mentioned that acts like Tiesto, Paul van Dyk, Above & Beyond have influenced you, but you also add German duo Blank & Jones. 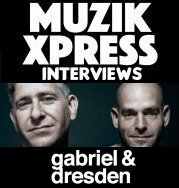 How have they influenced differently than people like Tiesto or Paul van Dyk? ReOrder: Blank & Jones were the ones that started it for me. After hearing their first single "Cream" my faith was sealed. Every track that they made after somehow influenced my life and my later experiments with music production as well. iVibes: Blank and Jones have shifted away from trance since their last album in 2008. Now they are doing more mix compilations of 80s tracks and chill out music. What has been your view of their musical change? ReOrder: I believe that we all evolve in one way or the other. They gave the trance scene everything they could. Many tunes of theirs will be remembered and I believe that they just moved on to next level. It is just next step in their life and career. iVibes: In Slovakia there aren’t too many known acts, but people like Robert Burian and Nifra have made a name for themselves. How healthy is the trance scene in Slovakia? ReOrder: There are many young producers over there that are working hard to get their names out there. I myself helped few of them to improve their sound as well. But the club life is oriented to disco and commercial styles therefore many retire their dreams and stop producing. iVibes: Is this a scene that will continue to grow as there are many young up and coming acts coming up? ReOrder: We will see what the future holds. There are still few believers among promoters and producers who won't stop at nothing. Look at me, for many years I was told to stop with Trance Music because it is dying but I couldn't give up, trance was, is and will be my life. iVibes: Your motto is "Spread Love & Peace with Trance Music". How would you describe the ReOrder sound in 2014? ReOrder: ReOrder of 2014 will be faster, harder, more emotional than ever and as wild as it gets on stage! iVibes: You released your first track on the legendary Bonzai label. How has your sound developed through the years? ReOrder: I believe that the development went step by step. Because there was almost no one around me who knew how to produce Trance or any EDM style and we did not have internet at home at first it was truly try & fail system for me. Everything I know now I had to come to understanding by myself. On a bright side it built a very firm ground for the future of my sound. I'm still learning, it can always be done better. iVibes: You are currently living in Prague. How is the Trance scene and is there a special place in the city where you can stay for hours and get inspiration for music? ReOrder: The Trance Scene in Prague is very developed. Trance & Progressive events are here on regular basis and not only the big ones like Trance Fusion or yearly Transmission but also small club night with true Trance Family atmosphere. Czech Trance Family here is really strong. If I really struggle for inspiration I either visit my favourite Beer Garden on the top of place called "Letna" with view over the city or just simple walk by the Vltava river gives the needed energy refill. iVibes: Hidden in a smile is an amazing track. What was the most difficult thing you had to do to get this track perfect? ReOrder: Of course the most difficult thing with this track was the vocals as I can't sign but thanks to Ian Standerwick and Julie Harrington we made it. They did amazing job when they wrote these vocals and Ian is truly gifted singer. iVibes: You have been working with Ian Sanderwick on numerous tracks. How can one understand the studio responsibilities of both guys? Who does what? Do you guys have defined roles when making breathtaking music? ReOrder: We with Ian there is some strange connection like as we were brother or met in past life. We just feel each others music and style. When he hears any tune of mine he immediately comes up with additional colours (melodies) and same works for me with his tunes. Right now we are working on a new piece and it is an instant ping pong between his and mine studio with new ideas. We just have the similar taste. iVibes: Alliance of one is an amazing piece of music as a Paul van Dyk would say when he hears something like that. What was your inspiration behind this track? ReOrder: Alliance Of One is a very special "piece of music" for me. I just returned from UK when I made this. I was broke, almost homeless and on the edge of breaking up with my amazing girlfriend. I knew I had to put myself back together. And I did fixed everything and stand back on my feet. And during that time I found a moment to sit behind my Mac and released all those feelings into on track. iVibes: Stine Groove worked with the Thrillseekers and also you. What was it like working with her on Seize The Day. What is so appealing in her voice that makes you smile when you hear her? ReOrder: I know Stine for many years. I heard her voice for the first time when I was remixing her collaboration with Blue Tente called Heading Home back in 2010. I felt in love with her voice in an instant. She makes you feel just like the trance music does; you feel than even in the biggest despair you can achieve anything. I finished the remix and sent her email saying something like: "I don't know how but I'm going to make you famous". A few months after our first collaboration, Biscay Bay was played by Armin van Buuren on ASOT. Working with Stine was a thrill each and every time. iVibes: She seems to make such an impact with little words. White Sands of Ibiza was one of your early tracks, but it is already evident here of your talent of combining music and voice. Is a goal of yours in the future to attempt going more in a direction of pop songs? ReOrder: Well thing with White Sands Of Ibiza is that I actually had an Idea of the vocals and lyrics so I sung them for her (sounded terrible of course) to get the picture. I really don't know what future holds, I always enjoyed Trance the most so there goes my path. iVibes: I think you could make good pop songs. One of the tracks of 2013 was Folding your universe. The melody is so simple, but one that stays in your head. It’s just an amazing track. Was this a track that took long to produce of did you crank it out quickly? ReOrder: I think we finished the main idea in a day and rest like in a week maybe less. It is probably the best way of working on any tune. Once you have the idea work on it till exhaustion because after you go to bed and wake up you are in a different mood and state. iVibes: Were you blushing when you heard five time DJ mag #1 Armin van Burren say “I’m sorry for singing on air, but this track has been stuck in my head for so long”. What new releases can we await from you in 2014 and will an album be on the way? ReOrder: Man, I was stunned! I believe I have never heard Armin humming anything on air of ASOT, that was like the biggest honour you can get from five time DJ Mag #1 DJ. I think it is soon to speak about an Artist Album but there are some forthcoming tunes coming up really soon, mostly collaborations with Faruk Sabanci, Darren Porter and of course new SkyPatrol singles. 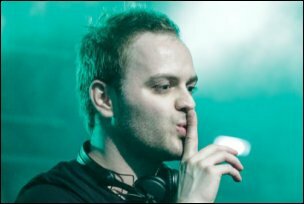 iVibes: You will be releasing something with Darren Porter. What can we await from this track? What are your fondest memories of playing ASOT 650 in Utrecht? ReOrder: Collaboration with Darren is one of those "done in a day" tracks I mentioned earlier. I and also Armin among other DJs tried it Live on stage on ASOT650 and the reaction exceeded any expectations we had. We are really looking forward for the release of this one on WAO138 label! As for ASOT650 in Utrecht, that was the one of the best experiences in my life, seeing the stage filling up during my mix was incredible. iVibes: What gives you more goose bumps hearing your own track being celebrated or hearing an amazing new track from a DJ colleague? ReOrder: Surely hearing track from others. Right now its the one I mentioned in the beginning and that is Darren Porter's Terraforming, that track just makes me fly!